In a hideous case, three people have been arrested for sexually abusing a three-year-old girl child. The two men sexually abused the child for about 10 days. The arrest was made by Tamil Nadu's Tiruvallur police. According to Times of India (ToI), the men abused the child with the consent of her 30-year-old mother. The mother, who is a native of Andhra Pradesh was married to a man from Tiruvallur. She had taken the child to her native where the incident took place. A missing complaint was filed at a police station by the child's father two days after the mother and daughter went missing. After the complaint, during initial inquiry, when the police contacted the woman's parents, they said that she had no plans of visiting them. Days after the woman returned home along with her daughter, following which the child fell ill and was admitted in a local hospital for immediate care. Soon after examination the doctors found out that the child was sexually abused to which they had informed the police. On further questioning the mother, she confessed to the police that she had gone to meet her lover in Andhra Pradesh along with a relative. Currently, the three have been taken into judicial custody. ‘அதிகாரி செய்த கொடூரம்’.. ஆட்சியர் அலுவலகத்தில் பிச்சை எடுத்த இளம் பெண்! 'டிவி சேனல் அதிபர் மர்மான முறையில் மரணம்'...கொலையா?...காவல்துறையினர் தீவிர விசாரணை! தன் இறுதிச்சடங்குக்கு தேவையானதை தானே வாங்கிவைத்துவிட்டு விவசாயி தற்கொலை! 'உங்களுக்கு கொஞ்சம் டைம் தரேன்...அதுக்குள்ள கலைஞ்சு போய்டுங்க'...'வழிமறைத்த பா.ஜ.க'வினர்'...தெறிக்கவிட்ட சந்திரபாபு நாயுடு! பரபரப்பை கிளப்பியிருக்கும் வீடியோ! குழந்தைகளுக்கு எதிரான பாலியல் தொல்லைகளை இப்படியும் தடுக்கலாம்...களத்தில் இறங்கிய ஐபிஎஸ்! This page contains news relating to various facts and events. The views are generally about current affiars and general topics in diversified areas such as political, international, national, and regional issues, sports, health, travel, lifestyle, technology and business. People having similar interets on the above topics will find this page useful. 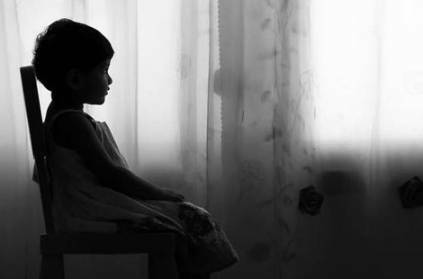 Three-year-old girl sexually abused for 10 days; mother and two others | Tamil Nadu News.